Diego Rísquez (b. 1949, Juan Griego, Venezuela) is a multifaceted artist, painter and filmmaker, who has been actively working in the film world for the past five decades. 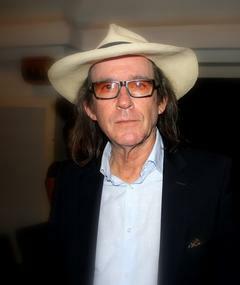 One of the most significant auteurs of experimental cinema in Venezuela, Diego Rísquez Cupello (born December 15, 1949, in Juan Griego, Venezuela) studied social communication at the Universidad Católica Andrés Bello, but left to devote himself to the theater, taking acting classes with Levy Rosell. In 1973, he moved to Paris where he joined “Paris “N” Theater” under the direction of peruvian Director Emilio Gally. In addition to his career as an actor, he worked as a photographer for the Galerie l’Attico of Rome. Returning to Caracas in 1975, he got involved in painting and sculpture and completed his first super 8 shorts. He achieved international recognition with the experimental trilogy on the European conquest of South America, His first feature, Bolívar, sinfonía tropikal (Bolívar, Tropikal Symphony, 1979) was showcased at Directors Fortnight at the Cannes Film Festival, first in 1981 (in super-8), then in 1982 (blown up to 35mm). His second feature, Orinoko, Nuevo Mundo (Orinoko, New World), was also presented at Directors Fortnight in 1984 – as was Amérika, Terra Incógnita, the third part of the Trilogy, in 1988.